I love teaching knitters and crocheters new skills and this month will be a particularly busy month with lots of workshops. I'm teaching lots of things and you can see them all here but I'd like to talk about my lace workshops. Friday 11th May I'm teaching Easy Lace at Hulu Crafts, Modbury, Devon. The week after I'm teaching Lace Improvers at Spin A Yarn, Bovey Tracey, Devon on 15 May and at Purlescence, Wantage, Oxfordshire on 19 May. Not sure which workshop is suitable for you? If you've never knitted any lace or you lack confidence in your knitting ability (lots of knitters lack confidence in their skills but in my experience, most knitters I meet are much better knitters than they think they are) then the Easy Lace workshop may be best for you. We'll cover how to knit from charts, how to work the different stitches (yarn overs & decreases) needed for lace knitting, how to add beads using a crochet hook, how to shape within a lace pattern and how to knit a top down triangular shawl. You'll get plenty of practice during the day and I encourage knitters to work at their own pace while I give individual attention where needed. To do this workshop you need to be able to knit and purl. If you've done some lace knitting before or you're a more confident knitter then you may prefer the Lace Improvers workshop. In this workshop we'll review how to knit from charts (it's okay if you've never knitted from a lace chart before), the various stitches (yarn overs and decreases) need in lace knitting, how to work a provisional cast on, adding beads with a crochet hook and how to add a knitted on edging. You will be able to choose between an easier chart and a more complex chart to work from during the day and again, you'll get plenty of practice, working at your own pace with lots of individual help from me. If you've done my Easy Lace workshop then you'll enjoy the Lace Improvers. So, which workshop will you do? Live too far away from the venues mentioned to attend? Ask your local yarn shop or knitting group to contact me to book a workshop. Having said that I've had people from all over the south of England and Wales attend my workshops in Devon and when I taught Easy Lace at Purlescence in March there were people from Sussex and Kent there. Whitsand Bay, the crochet edging can just about be seen against Em's yellow t-shirt. and below a close up of the crochet edging. If you're a crocheter the crochet chain edging should be easy enough to work but if you've never crocheted before or if you're fairly new to crochet you may be worried about it, so i've made a little video showing you how to do the crochet chain cast off. You can find the video here. 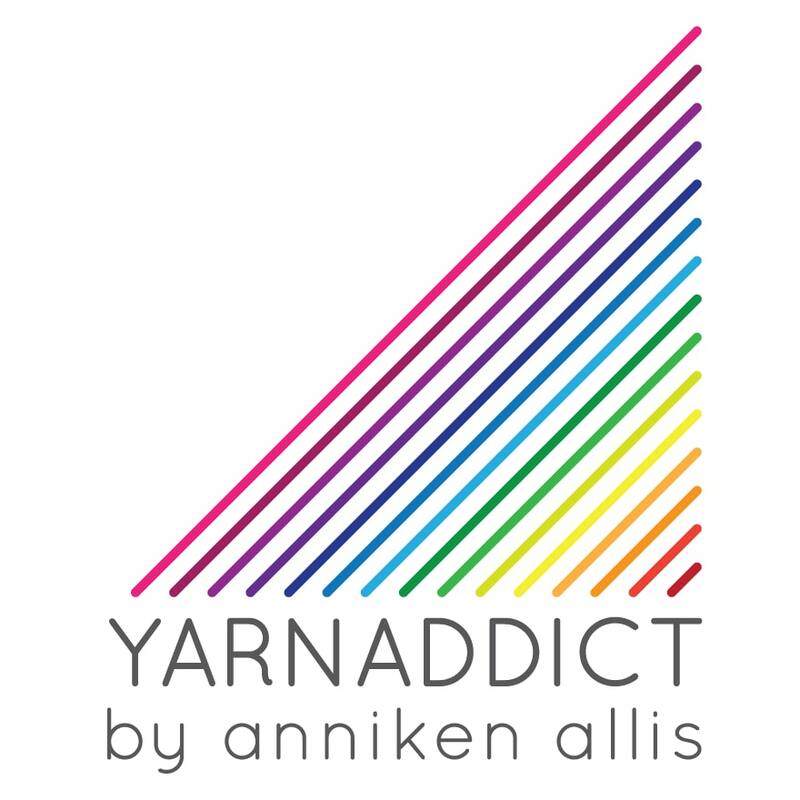 Those of you who've been reading my blog for a while may have read this post in which I wrote about my experience with KAL Media/All Craft Media (ACM), Yarn Forward/Knit (soon to be called Yarnwise), Inside Crochet (the company also publish Handmade Living, Simply Beautiful, Modern Quilting, Sew Hip plus a fashion mag but can't remember the name now). Yesterday I came across a tweet saying the company has been liquidated again. KAL Media was voluntary liquidated about a year ago and taken over by ACM. Kal Media was owned by Kerrie Allman and ACM was owned by her husband. It's since come to light that this time it's not a voluntary liquidation but a forced administration. I've no idea what the difference is and to be honest, I don't really care. I stopped dealing with them after they paid me last September. And I've been telling other designers about my experience especially new designers who've told me how excited they were to have a design published by Knit or Inside Crochet. I'm surprised anyone still submit designs to them as their problems with paying designers have been so widely talked about over recent months. This thread on Ravelry covers recent developments and this thread gives an all over history of the whole sad affair and yes, it is quite confusing. Several blog posts have been written on the subject too. You have to be a Ravelry member to access those threads but it's free to join. Another interesting development which became known yesterday is that a new company called Handmade Living Ltd was set up by Mr Rycroft who just happens to be Kerrie's dad. Now, I'm not sure what the intentions of this new company are. I would guess they're hoping to keep the magazines going but I don't know that for sure. It also seems that the last issue of Knit has not been released by the printers due to non-payment. I wasn't sure whether or not to blog about this but as I've spoken out before I thought i'd just mention this again. I don't want people to loose their jobs or their livelihoods but I do think the British crafting community can do without a badly run company like this. It's caused too much upset and hurt so many people (staff, designers, other contributors, readers, subscribers, lace & sock club members, indie dyers, other companies they owe money) and I think it has to stop. I hope this is the end of this story! I'm glad to have been of service. I think the only way to stop this company continuing is for all crafters to be aware so they can then make up their own minds about supporting these mags or not. So many innocent people (subscribers, small and big companies who do work for them, designers/contributors, staff etc etc) keep getting hurt.